Another NYFW has come and gone but, as always, left us inspired. Some of our favorite moments from on the runway included 3.1 Phillip Lim's footwear and smart melange of patterns, BCBG's harnesses, Rebecca Minkoff's playful floral treatments, and Prabal Gurung's elegant daywear and exotic cocktail dresses. Outside the tents, showgoers, bloggers and fashion fanatics grabbed our attention with some fun baubles, slick shades and colorful ensembles we managed to capture here. That third snap of the older ladies is killer! Love these photos! 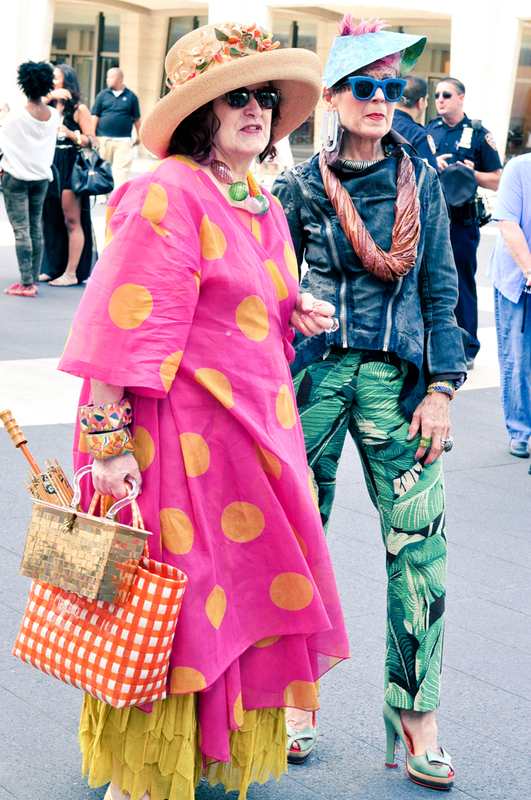 I'm always inspired by the diversity of personal style seen during Fashion Week. Great street style snaps! One of my favorite parts of NYFW is just people watching. My favorite NYFW moment was probably Lucky FABB! Great photos as always, I miss NY already! Nice photos, I really enjoyed the BCBG show. I missed it unfortunately but I'm all about the harness. I also really liked Ruffian. LOVe the old birds - they are the MOST FAB of the bunch! And I say "old birds" in the most endearing, fashionable, loving manner! WOW! 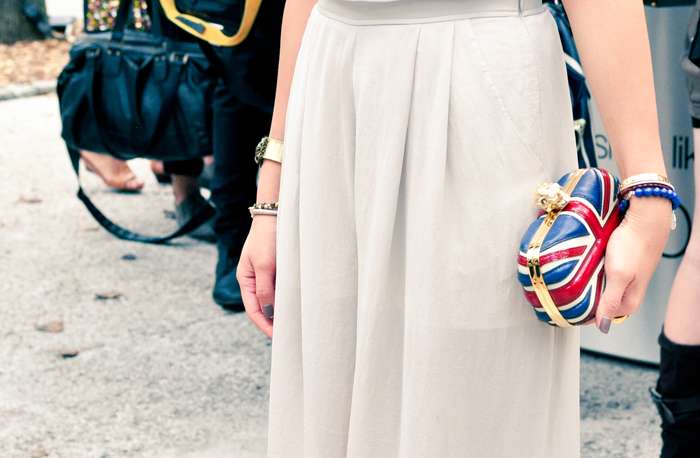 Love the street style you caught! The colors are amazing!